The stereotypical view of Neanderthals is that of brutish cavemen who communicated in grunts and were generally incapable of complex language. However, a recent study, authored by Dutch scientists at the Max Planck Institute of Psycholinguistics, argues that not only did Neanderthals and modern humans interact and interbreed, but they also likely shared some elements of speech and language. Neanderthals have fascinated the academic world since their discovery almost 200 years ago. It is widely recognized that they were a successful species inhabiting vast swathes of western Eurasia for several hundreds of thousands of years, during harsh ages and milder interglacial periods. We knew that they were one of our closest cousins, sharing a common ancestor with us around half a million years ago (probably Homo Heidelbergensis), but it was unclear what their cognitive capacities were like, or why modern humans succeeded in replacing them after thousands of years of cohabitation. 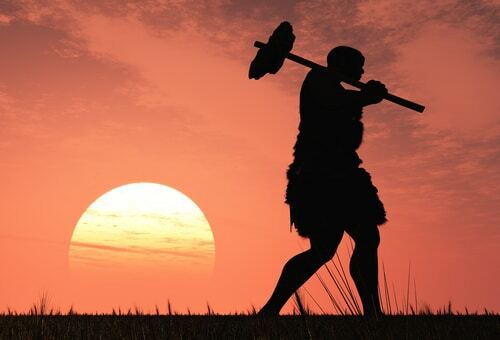 Due to recent palaeoanthropological and archaeological discoveries and the reevaluation and assessment of older data, as well as the availability of ancient DNA, academics have started to realize that the fate of Neanderthals was much more closely intertwined with ours and that, far from being slow brutes, their cognitive capacities and culture were very similar to humans. In fact, this new research claims that modern language and speech date back to the most recent ancestor that humans shared with the Neanderthals, Homo heidelbergensis. It may even be possible that the languages we speak today retain some elements of Neanderthal language. “We suggest that if Neanderthals had something like modern speech and language, and that we did interact with them, then maybe mod languages have some trace of that language,” stated Dr. Dan Dediu, Psycholinguist, and one of the study’s lead authors. By pointing to ancient DNA and new archaeological discoveries, the linguists suggest that language developed through a gradual Darwinian process of both biological and cultural evolution — rather than, as another popular theory states, through one or just a few random genetic mutations. If this new theory is correct, the team’s findings could push back the origins of modern language by 10 times what was previously thought. While many believe that modern language began around 50,000 years ago, the paper names a period about a million years ago as the beginning of modern language — some time between the emergence of our genus, Homo sapiens (around 1.8 million years ago), and the emergence of Homo Heidelbergensis. The paper, published online on July 5 in the journal Frontiers in Language Sciences, comes on the back of the Neanderthal Genome Project – a 2010 collaboration of scientists at the Max Planck Institute for Evolutionary Anthropology in Leipzig, Germany who found that ancient Neanderthals and modern humans shared some DNA. In fact, one of Britain’s favourite comedians, Eddie Izzard, revealed that geneticist Dr Jim Wilson had discovered that Izzard is 2.8% Neanderthal.